University of Nevada Las Vegas students from the colleges of engineering, architecture, hotel management, health sciences, fine arts and construction management will be competing in Solar Decathlon 2017 at Denver this fall, to showcase their skills in designing an energy-efficient, solar-powered home that can also actively support its aging residents. University of Nevada Las Vegas students from the colleges of engineering, architecture, hotel management, health sciences, fine arts and construction management will be competing in Solar Decathlon 2017 at Denver this fall to showcase their skills in designing an energy-efficient, solar-powered home that can actively support aging residents. The decathlon will include 10 events, for a total possible score of 1,000 points, that will challenge each team’s design in architecture, engineering, communications, affordability, market appeal, comfort, hot-water usage, appliance efficiency, energy balance and innovation. UNLV Team Las Vegas will be competing against 13 other student university teams. The group of 25 students has ambitious goals to integrate the 10 design and construction challenges into unified solutions for new problems that will affect the aging U.S. population. Associate professor David James, director of solar and renewable energy programs at UNLV, was inspired by the book “Alone And Invisible No More” by Allan S. Teel. 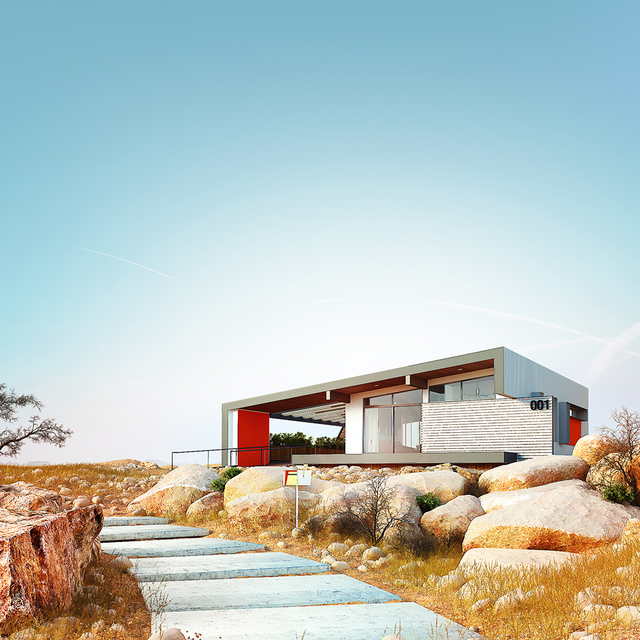 Team Las Vegas is designing a compact, 990-square-foot home that focuses on achieving three primary goals for elderly residents. 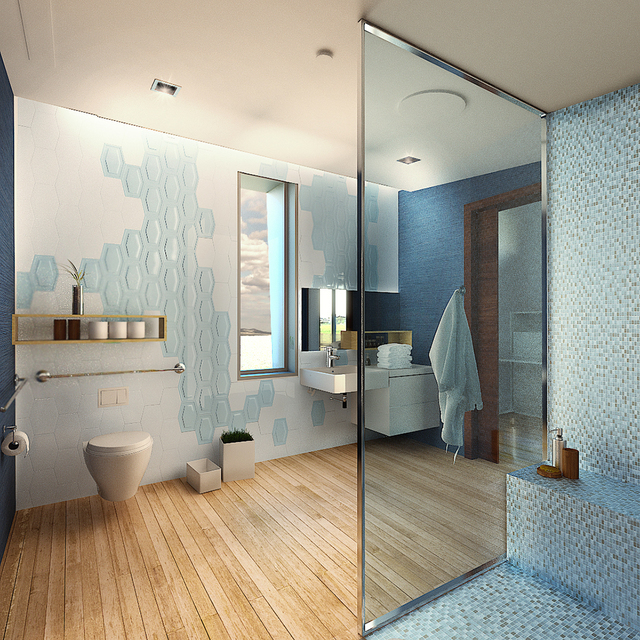 The first goal is to provide an open, naturally illuminated interior design that adapts to the needs of persons who age in place. 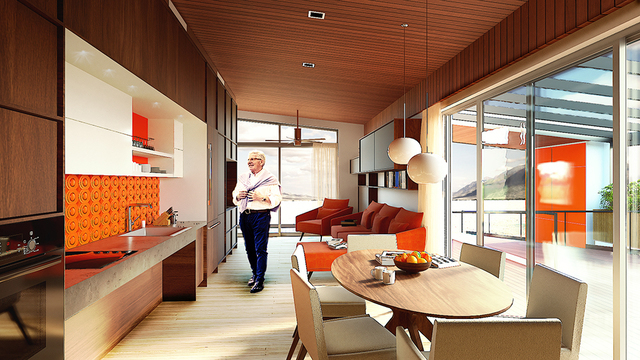 The layout of the home encourages residents to circulate between rooms and exercise by walking around. The second goal of the project is to provide maximum comfort through a net-zero energy performance design that includes radiant heating, energy recovery, ventilation and ductless air conditioning. The third goal is to create a responsive health care environment by equipping the structure with smart home devices that can facilitate communication between occupants, external family caregivers and health care professionals. The compact interior of the 990-square-foot home includes a bedroom, bath, workspace, kitchen and living room area. An integrated mechanical unit contains a solar-thermal radiant heating system with hydronic tubes mounted externally to the south side of the home that maximize heat transfer from the sun to a tubular array under the internal flooring all year round. Solar panels mounted on the rooftop provide 6.8 kilowatts of photovoltaic solar power to the home throughout the day when the sun is shining, and a 13.5-kilowatt-hour Tesla Powerwall 2 provides battery storage for supplemental electric power at night. The habitat can operate off-grid, if needed, and continue to provide power to life-sustaining medical equipment, temperature control devices and lighting, even during a utility grid power outage. Other innovations include a special phase-change material in the ceiling areas that can help passively mitigate temperature changes throughout the rooms. 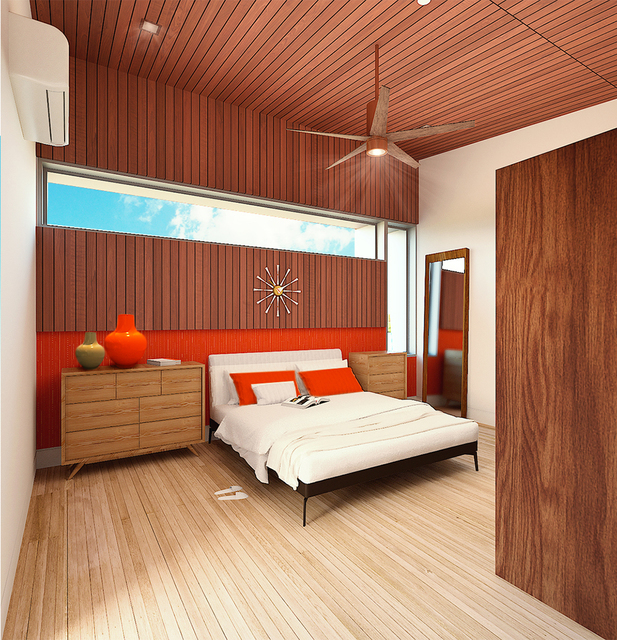 Three redundant mini split heat pumps are supplemented by ceiling fans to provide air circulation and cooling during the summer. UNLV Team Las Vegas is on a tight schedule to build and implement a finished project design. Martin-Harris Construction has been an adviser, along with the Nevada Commission on Construction Education and the Southern Nevada Chapter of the International Code Council, which also provided funding for the project. Other major sponsors include Switch and the NV Energy Foundation. 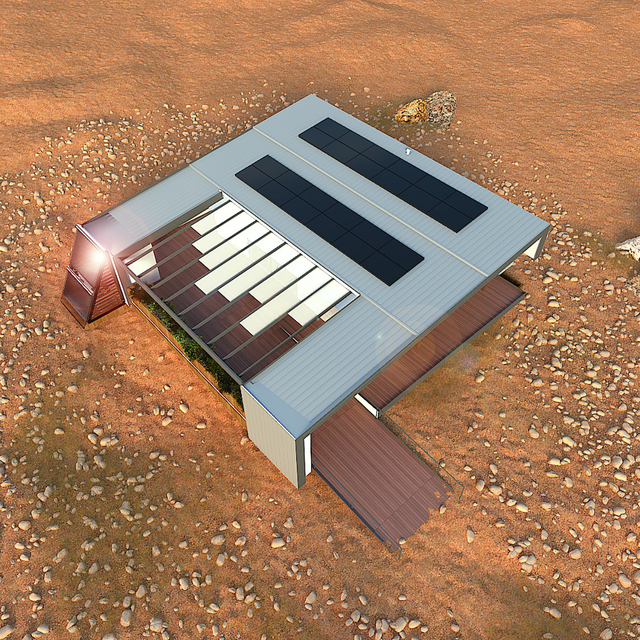 UNLV Team Las Vegas is more than halfway toward its fundraising goal of $1 million to finance this year’s Solar Decathlon team of 25 students, but more donations are welcome. The whole structure will be dismantled into sub-modules during September, then shipped to Denver and re-assembled at the site of the Solar Decathlon in time for the judging of the competition from Oct. 5-15.